We always bring methi leaves home whenever we go out to a grocery shop. 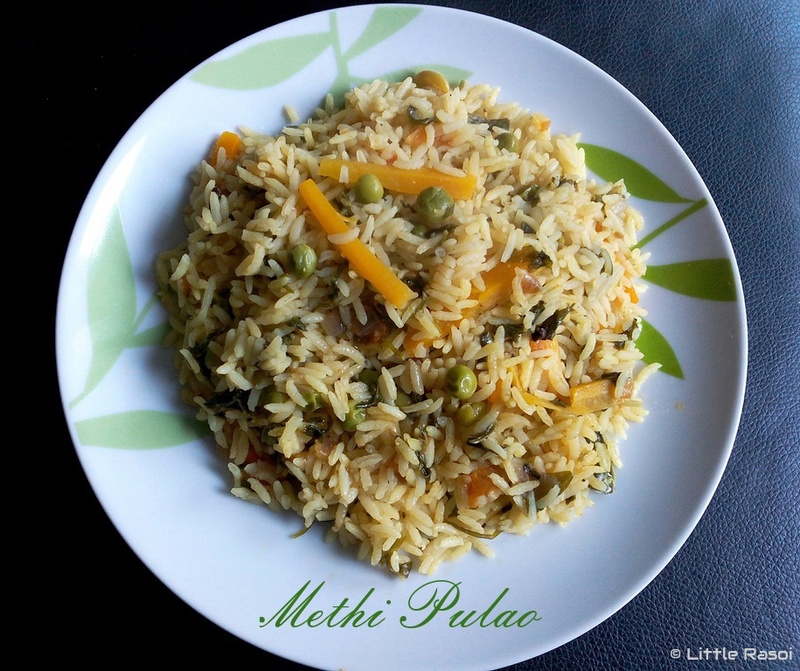 As methi is good for health, I usually add methi leaves in some curries or make methi paratha. Luckily we find methi leaves in our grocery shop. Though I feel like growing methi at home but never tried it. It’s high time that, I should start growing my own herbs like methi, coriander, mint, curry leaves. So that, we need not have to worry about herbs getting over and we have to run to the shop to get them. 1. Wash the rice and soak it in water for 15 minutes. 2. Chop the tomato, thinly slice the carrot lengthwise, chop the onions, slice the green chillies into pieces and keep it aside. 3. Heat oil in a big pan, add shahjeera, cloves, cinnamon, cardamom, bay leaf, fry for 30 seconds. Add chopped onions and fry till they turn light brown in color, add green chillies, ginger-garlic paste and fry for a minute. 4. Add the tomato, peas, carrots, fry till the tomato becomes soft, now add chilli powder, turmeric powder, salt, coriander powder, garam masala, coriander leaves, methi leaves and fry for 2 minutes on low flame. 5. Now add water and bring to boil, check the seasoning. Drain the rice and add to the water. Mix well, bring to boil again and lower the flame to low and cook for 15-20 minutes until done, mixing in between. 6. Serve the rice hot. 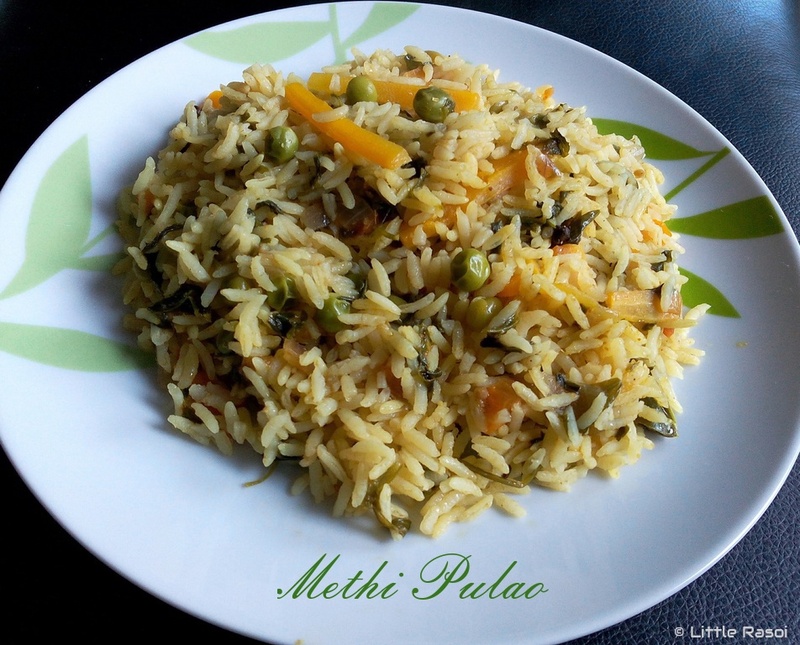 It can be eaten as it is without any raita or side dish.